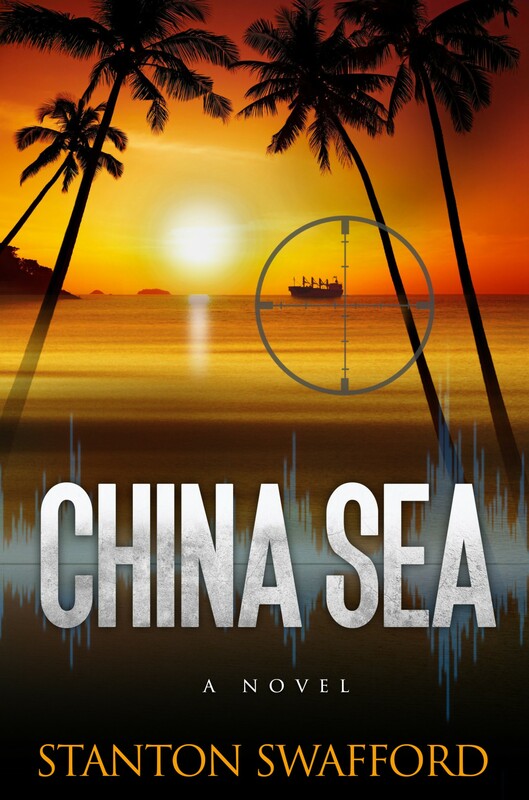 Last month we posted Chapter 1 of the espionage thriller, China Sea. Good news. I will serialize the novel on this blog. Hint: if you’re impatient, you can order the book right away on Amazon, Kindle, iTunes and Google Play Books. The third interview, the one with Pete Wright, took place a month later in a second-rate motel room in South San Francisco, near the airport. Through the slightly open window I could hear the roar of planes taking off and landing every five minutes or so. The first thing I remember was that Pete was annoyed when he met me at the door. As he explained it, he had flown in from Tokyo that morning, and upon opening his suitcase he found that the two duty free bottles that he had packed had collided, shattered, and drenched the contents of the suitcase with scotch whiskey. In lieu of a fresh change of clothes, he appeared to wear the same rumpled dress shirt and loosened necktie that he had worn on the long flight from Japan. He at last gathered his composure, greeted me politely and asked me to take a seat. I saw a copy of my Personal History Statement laid out on a desk. I would describe my first impression of Pete Wright as one of intimidating self-assurance, like a light-heavyweight prizefighter, or a district attorney. He had black, crew cut hair and intense, chiseled facial features. He was one of these people who may be fifty and is mistaken for forty. His initial displeasure had made him appear rather fierce. You wanted him on your side. He was someone you did not want to tangle with. “Have you wondered who we are, Roy?” This was his first comment to me as we took our seats. He held my Personal History Statement in one hand. I was speechless for a moment. Of course I had been curious about who they were ever since that bizarre second interview. I had a hunch by now they were not ship owners that wanted to hire some rookie to represent them in the Far East. I replied that I did have a sense things were not as they first appeared. Well, there wasn’t much I could add to that. I knew now my gut feeling that the process had been a subterfuge had been right. With this out of the way, he asked me a few personal questions. He asked which one person had had the greatest influence on my life. I told him, without hesitation, that it had been my late grandfather, and I gave him the reasons. Papa, as we called Lorenzo Mancini, had trained me from an early age in the two sports where I had excelled: sailboat racing and tennis. He’d encouraged my love of music, had given me my first trumpet, and introduced me to the music of Miles Davis. He’d stimulated my intellectual curiosity and love of reading. And, he had taught me how to play poker and a good game of chess. Wright seemed satisfied. “His incredible talent.” I spread my hands and shrugged in a gesture of amazement. I nodded and I remarked that I was here because I was intrigued. The notion of intelligence work, if that’s what it was, appealed to me. I must have stammered in my eagerness to reassure him. He raised his hand somewhere in mid-sentence, and said okay he got the picture. “We don’t work at the Pentagon. We’re outside-the-Beltway. In fact, you can count on the fingers of one hand the number of people in the Pentagon who even know we exist. The Secretary of Defense, of course, and very few others. I nodded, speechless and comprehending little of what he was describing. “You are being considered for a job as a case officer. We plan to insert you into a location somewhere in East Asia. We think you’ll blend in. That part of the story they’ve fed you is true.” He stared at me with raised eyebrows, as though asking me to comment. I pondered for a moment. At last I asked him what a case officer did. Was it dangerous? I sort of hoped it might be. I nodded as if I understood. At this point it sounded like a movie I’d seen starring Richard Burton. I looked at the $500 check in my hand, issued to me by Monarch Executive Staffing. This was all coming fast. Pack up and leave San Francisco within a week. Move to Washington D.C. New places and new faces. “You know, Roy, you would be the youngest case officer we’ve ever hired. Just twenty-six, right? In your case, we’ll make an exception. You have the background. And leave it at that.” He looked at me, cocking his head to one side. Again, he waited for me to comment. “Well, that describes the United States Navy. And the Navy is one of our most important customers.” He chuckled at this double entendre. “We expect you’ll be involved in clandestine maritime operations. Your experience on that freighter, as a radioman, is one factor.” They knew, of course, about my two years of active duty on a Navy cargo ship, the USNS Wake Forest. I wondered if they had learned of my more recent visits to the seamen’s union hall. They had. “No, I have no plans to get married any time soon.” And there it was. We had a deal. We made arrangements that I would phone him as soon as I had my flight details. We parted on that note, and agreed to meet again in a few days. As we stood up, he told me to call him Pete. He explained that we never refer to anyone in the Institute by military rank.